Check your rims for imperfections such as scratches, dings, bends and gouges. 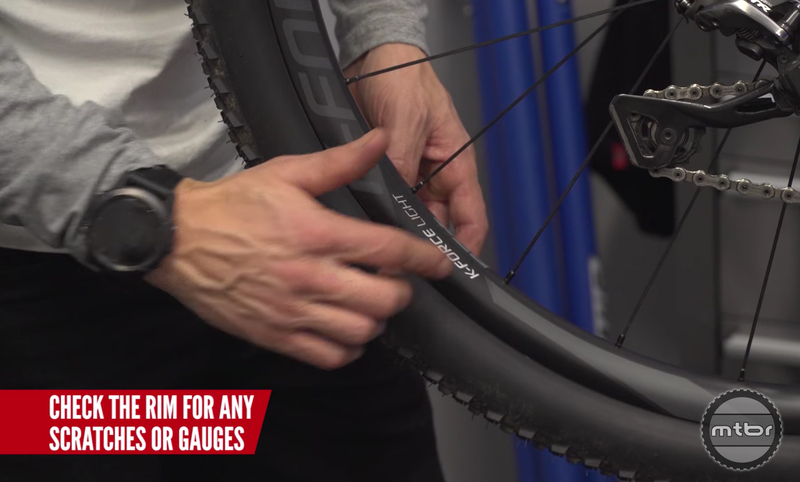 Checking your wheels is a vital part of mountain bike maintenance. 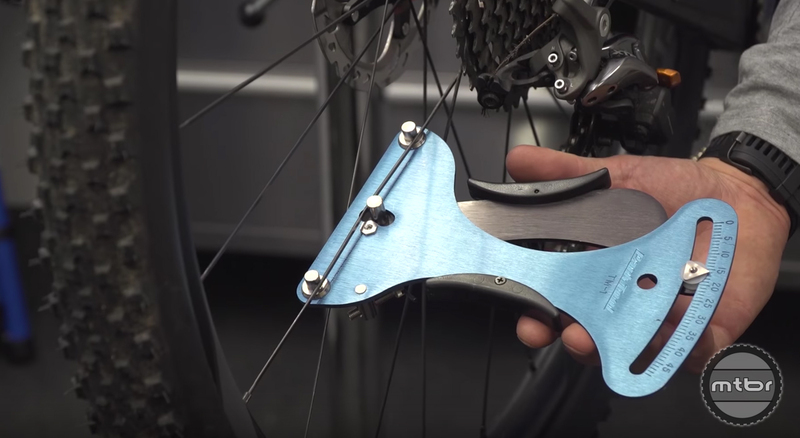 Looking out for dents, worn bearings, flat spots, and loose spokes will help your bike run smoother as well as avoiding damage. Press play to learn more from the crew at the Global Mountain Bike Network. Check out more How To videos on Mtbr. Next check spoke tension of both wheels. They shouldn’t move more than 1-2mm. 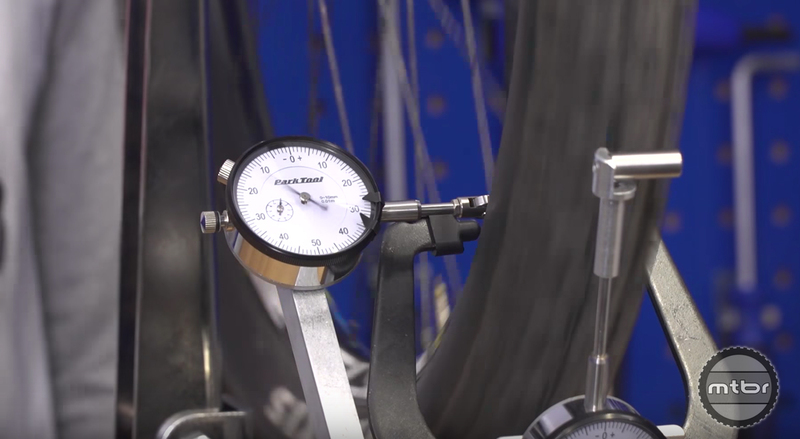 If your rim is wobbly, best to use a gauge and truing stand to get them spinning true again. 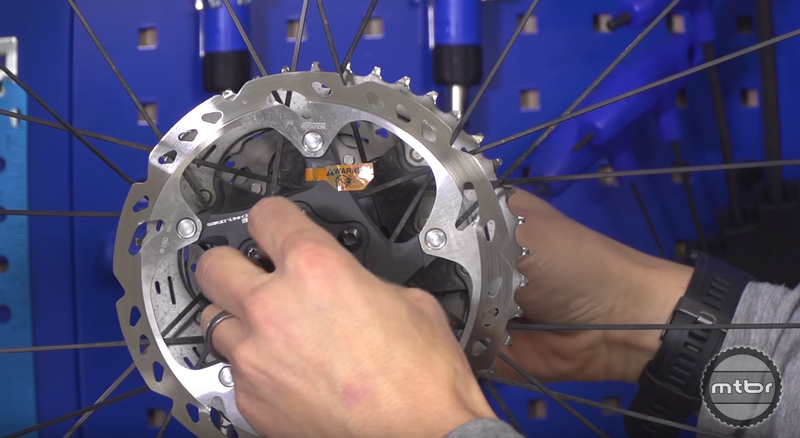 The last area to check is the hub and that starts with the bearings.